Luke Bryan announced during a press conference in Nashville today the addition of 13 stadium concerts to his "What Makes You Country Tour" launching next month. By the end of October, Luke will headline some of the North America’s biggest and best sports stadiums in Toronto, New York City, Cincinnati, Tampa, Pittsburgh, Boston, Minneapolis, Los Angeles, Denver, St. Louis, Chicago, Vancouver and wrapping the tour in Detroit at Ford Field on October 26. Tickets are will be announced locally in the coming weeks. Sam Hunt joins the tour as the special guest on all stadium shows along with Jon Pardi. Additional openers include Morgan Wallen (May-August), Carly Pearce (September-October) and DJ Rock. A full tour schedule is available on www.lukebryan.com. 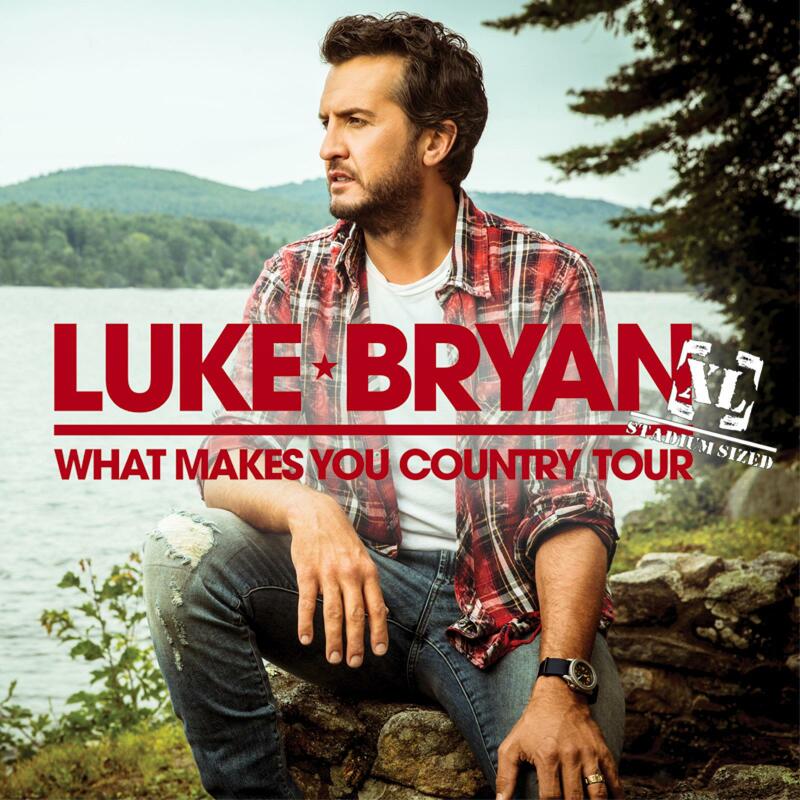 "What Makes You Country Tour" is named after Luke’s recently released album that debuted at #1 on both the Billboard Top 200 and Top Country Albums charts. It became his third consecutive album to debut at #1 on theTop 200 and his fifth #1 debut on the Top Country Albums Chart.